James Cook University’s Professor Peter Leggat AM is the inaugural Mindset Scholar hosted by the University of Nottingham, Malaysia Campus (UNMC), based in Kuala Lumpur. Professor Leggat took up his first scholarship stint at UNMC late last month, which celebrates its 15th anniversary this year. “I have to thank Associate Profesor Tuong-Thuy Vu in the School of Geography, and Assistant Professor Aini Hamid in the Department of Biomedical Sciences for developing the proposal for this scholarship,” Professor Leggat said. “We are working on how geospatial technologies, such as satellites, can be applied in public health aspects of disaster management,” he added. The collaboration stems from participation by Drs Vu and Leggat in a United Nations Platform for space-based information for Disaster Management and Emergency Response (UN-SPIDER), organised by the United Nations Office for Outer Space Affairs in Bonn, Germany, in 2009. “Professor Leggat and I share a common research interest. While geospatial scientists continually improve the methods to provide timely critical information for disaster management, they are not fully aware of how the healthcare profession can use this information and can benefit from it,” said Associate Professor Vu from the UNMC. The Mindset Visiting Scholar scheme aims to enable Mindset members to invite international collaborators to carry out study and research in the University of Nottingham Malaysia Campus and to participate in the academic life of the University. Mindset Scholars are high-achieving, global researchers from diverse fields and backgrounds, who spend up to three months on campus. Professor Leggat has been at JCU for nearly 24 years based at the Townsville Campus. 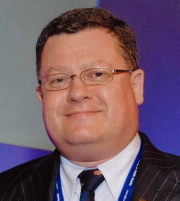 He is currently seconded as Dean of JCU’s College of Public Health, Medical and Veterinary Sciences and is Dean of Education of the Australasian College of Aerospace Medicine. JCU has one of the largest postgraduate programs in public health in Australia with more than 800 students enrolled. Courses include a popular disaster and humanitarian health specialisation at Graduate Certificate and Masters level and these courses have received national and international recognition. Professor Leggat said that “JCU has also had a long and proud tradition of undertaking applied disaster research, including in the public health field”.